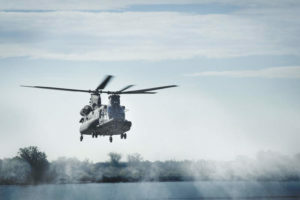 The U.S. Army’s Improved Turbine Engine Program (ITEP) aimed at producing a smaller, cheaper, and yet more powerful engine for the UH-60 and AH-64 fleets is not only running on-time and on-budget, but has become a major player in the Army’s future budgetary planning. Advanced Turbine Engine Company (ATEC) is a 50/50 joint venture involving Honeywell and Pratt & Whitney that is producing the HPW3000. General Electric is the second competitor with its GE3000. Ed Fortunado, vice president for ATEC, says that ITEP is no longer “just an Army Aviation priority, it’s an Army priority. 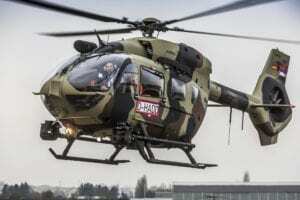 The reason is that it doesn’t just provide greater capability to Army Aviation—which is something everyone wants—but it is also the fuel savings.” It also includes significant savings in maintenance costs. While the new 3,000-shp engine is being developed to provide a 50 percent increase in power, it is also targeting improved specific fuel consumption by 25 percent, reduced production and maintenance costs by 35 percent and a 20 percent extension of engine life. Both the Black Hawk and the Apache currently receive power from the GE T700-GE-701C/D engine in the 1,700-shp range. 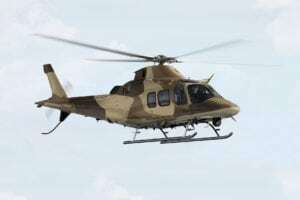 The ITEP engine will be designed as a “drop-in,” allowing the earlier engine to be removed and replaced without having to change the engine compartment footprint or engine cowling. The significance of these cost savings is that when military planners put everything on the table to figure out how to reduce the budget—which programs should go away, which can be drawn out and which can be saved—“ITEP has an additional group of advocates who support and embrace the program that leads in the direction the Congress wants, the DoD wants and that the Administration is looking for because it increases operational capability and brings considerable fuel savings,” he continues. 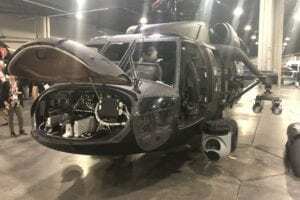 At current fleet levels, the fuel savings would be compiled by some 10,000 engines on fleets of around 3,000 Black Hawks and 1,000 Apaches, each of which are twin-engine powered. “And that’s before you even start to look at international sales,” Fortunado said. Sikorsky is also considering the ITEP in designing its S-97 Raider to take a single GE CT7-8, a variant of the T700-701D used in the Black Hawk. This will leverage the ITEP, providing the necessary footprint to install the ITEP engine when it becomes available. “Sikorsky sees great value in a Raider design that uses a single engine that is common with Black Hawk and Apache,” according to Chris Van Buiten, vice president of Sikorsky Innovations, the technology development arm of Sikorsky Aircraft Corp.
Another reason the ITEP is being so well received, particularly on Capitol Hill, is that it has been identified as the engine for the Joint Multi-Role Helicopter, Fortunado explains, so the investment supports both today’s Black Hawk and Apache fleet and the future of vertical lift. He notes that Congress is well informed on the potential cost savings from the program, with briefings conducted both for committee staff members and the members of Congress themselves. The ITEP program is still in the science and technology (S&T) phase, with completion expected by the end of FY12. This will be followed by a Request for Proposals expected either in late FY13 or early FY14. A key element will be to release the RFP to support a smooth transition from the S&T phase into engineering, manufacturing and development (EMD), Fortunado says. “You don’t want a year between them. One of the problems that Congress and DoD has seen with other programs is that the government makes a down-select very early, when the technology is not fully matured, and it ends up driving cost and schedule in the wrong direction. If you can maintain competition into EMD, benefits are realized in performance and cost saving for years to come.” ATEC and GE have two different technologies, two different architectures of an engine. By maintaining competition, the government and the war-fighters benefit. “With a well-structured competitive acquisition strategy, ITEP will continue to succeed and ultimately deliver a capable, affordable, versatile and fuel-efficient engine for the warfighter today and tomorrow,” he said.